Posted February 27th, 2012 by Meg & filed under beekeeping. Posted February 26th, 2012 by Meg & filed under gardening, homeec, kitchen, livestock. Posted February 22nd, 2012 by Meg. Posted February 21st, 2012 by Meg. I freaking love these bees! Posted February 17th, 2012 by Meg. Posted February 15th, 2012 by Meg. Getting a Little Help From Friends. Introducing New Contributor Michael Meier. Posted February 14th, 2012 by Meg. 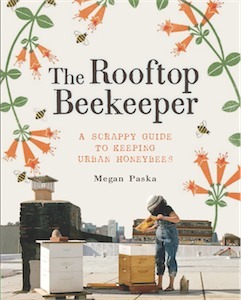 I’m Teaching Beekeeping at 3rd Ward This Sun, Feb 19th! Posted February 13th, 2012 by Meg. Posted February 11th, 2012 by Meg.